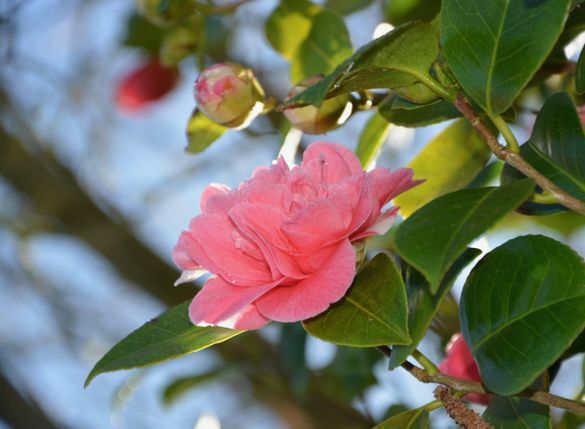 Celebrate Spring with uplifting walks through the Camellia adorned gardens of Galicia as part of Adagio‘s (01707 386700, www.adagio.co.uk) new 7-night gentle walking holiday ‘Pazos and Gardens of Galicia‘. The region is famed for its traditional Pazos manor houses, once the homes of kings and nobility, and their impressive gardens, which are especially abundant with fresh Camellias in April. Showcasing some of region’s 8,000 varieties of Camellia, highlights include a visit to Pazo de Mariñán, taking in its magical camellia walkway flanked by the aromatic eucalyptus, bay trees and lavender, and the 17th century Pazo de Rubianes with over 800 varieties of Camellia surrounded by hectares of vines. In addition, the holiday takes strolls along pilgrimage paths and visits the pretty coastal village of Combarro. A guided walk through the old streets of Santiago de Compostela includes the must-see Santiago de Compostela Cathedral, one of the most important religious structures in the all of Spain, as well as the Alameda Gardens, a haven in the city for rich varieties of flora and fauna. Then round off the week with a boat trip on the Ria inlet whilst sipping local Albariño wines. Departing 7 April 2019, Adagio’s (01707 386700, www.adagio.co.uk) 7 night Pazos and Gardens of Galicia starts from £1385/person including flights, en suite half board accommodation, 2 lunches, activities as outlined in the itinerary and local transport. The holiday also departs on 5 May, 9 June and 22 September in 2019.
or find out more about Ramblers Walking Holidays ‘Pazos and Gardens of Galicia‘ at Turismo de Galicia’s stand at RHS Hampton Court Flower Show (1 – 7 July 2019). Adagio is a collection of small group, leisurely guided holidays on foot, for those who want to enjoy the world at a slower pace, and is part of the RWH Travel, which operates over 250 holidays across over 60 countries worldwide. Alongside Adagio, the company offers Ramblers Walking Holidays and Ramblers Cruise & Walk Holidays – in association with Fred. Olsen Cruise Lines. All feature small guided groups, great destinations, well researched walks and experienced leaders with Ramblers Cruise & Walk Holidays follow the same principal where guided walks are all included in the price from each port of call. With its not-for-profit philosophy, the company contributes monies to the Ramblers Holidays Charitable Trust which supports walking related and environmental projects in the UK. The company also funds Heart & Sole – an initiative managed by company staff, with the aim of reaching into the heart of the communities visited both in the UK and overseas. RWH Travel also runs The Walking Partnership – an initiative which champions walking at the ‘grass roots’ level by providing funding and support to walking groups and clubs throughout the UK. Customers travelling on all holidays operated by RWH Travel are fully protected via the company’s membership of ABTA (No V5094) and as holders of an ATOL licence (No 990). RWH Travel is also a member of IATA, ETOA and AITO.